*Donations of €250 or more in a year allow us to claim back tax worth 31% extra. I would like to add my address for postal communication. I agree to be contacted by the Rotunda Foundation. Nobody likes spam. We take great care to make sure all our communications are of importance. Please see the below points for more information. 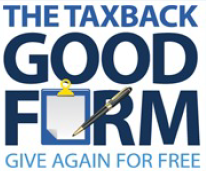 On making a donation you will receive an email detailing the transaction with the Taxback for Good form attached. If there is a problem with the transaction you will be contacted by phone or email to help resolve the problem. If you check the contact consent box you may be contacted periodically either by phone or email. Email is our channel of choice for most communication but these will be infrequent. They will be in the form of newsletters or specific campaign queries. If you leave the box checked the above (item 1) are the only communications you will recieve from us. Submitting this form will be taken as consent for item 1. Consent can be revoked at any time by contacting us (details at bottom of all pages). I wish my donation to go to a specific campaign.